So beautiful. So evocative of the love in your home and the love you share with others through your soulful and inspiring postings. Wow, B.J. – I just learned a lot about your family from that beautiful piece of writing. I guess I had a sense that your parents were deeply in love, but was too young to really notice it myself before your mom had her stroke. Thank you for bringing it to light so clearly here. 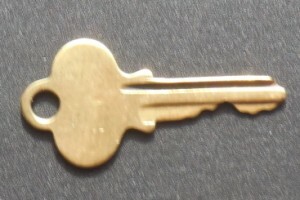 I’m glad to know that that key holds so many happy memories, and that you have it always. You were indeed blessed in your upbringing, and you are wise to savor it. Happy memories are a great gift. I hope these days in your own home with Julian are also a gift, and that your recovery continues strongly. There really is no place like home! how blessed one is to have loving memories of family. those can never be taken away. wishing you a restful and peaceful shabbat.